James Chen raised from middle position and was met with a reraise from Alex Ferrari in the cutoff. Chen called. 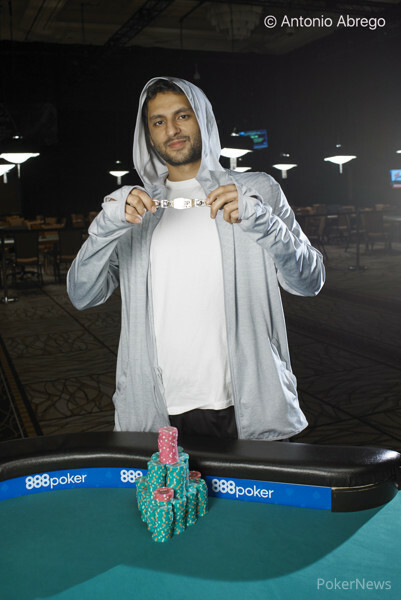 The flop came , and Chen check-called a bet from Ferrari. 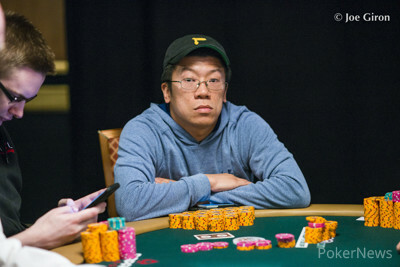 The turn brought the , and Chen moved all in for his remaining 55,000. Ferrari called. Ferrari then tabled and was infront of Chen's . The river bricked, resulting in Ferrari scooping the pot with the nut low and taking the high with a higher pair.